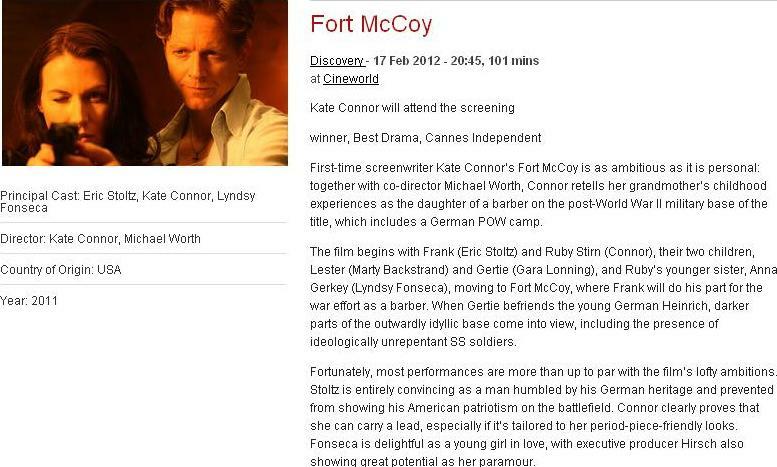 Fort McCoy will be screened at the Jameson Dublin International Film Festival tonight. If you are in the area, you can get tickets here. 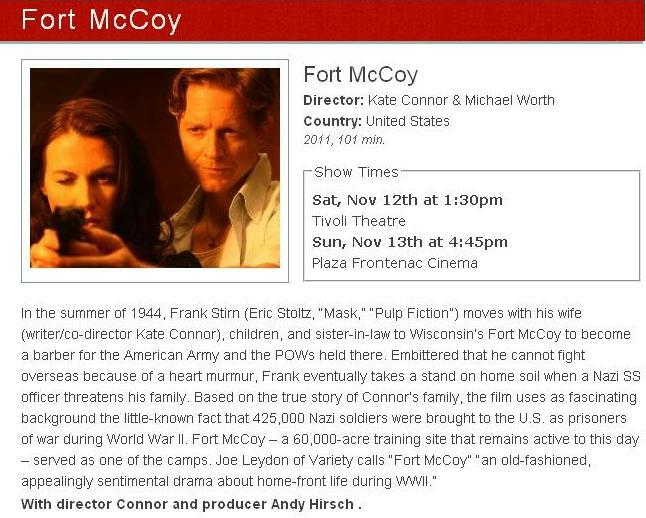 Fort McCoy will get a couple of screenings at the 20th Annual Stella Artois St. Louis International Film Festival (SLIFF), on November 12 & 13. Details at CinemaStLouis.org. And Eric’s next episode of Glee is probably 3×06, based on this tweet from Lea Michele. Either way, we won’t see it for at least another month. The show is on a three-week break, with no new episodes airing until November 1. 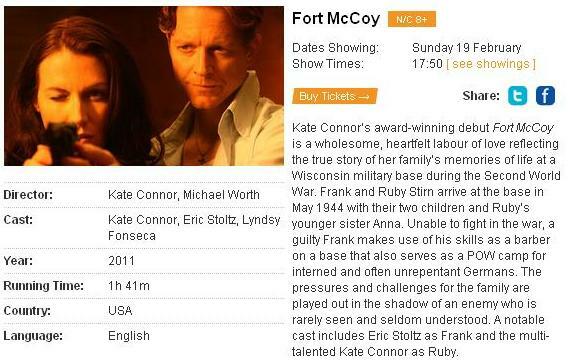 Fort McCoy will be shown at the Tacoma Film Festival on Saturday at 2 pm. More details at GrandCinema.com. Michael Worth tweeted the other day that the film won an award for best cinematography at the Boston Film Festival last month. ^ It’s taken from the press page for Husbands, Jane Espenson and Alessandra Torresani’s new web series that’s available at HusbandstheSeries.com.